I literally received my Long Hot Summer Eyeshadow Palette in the post less than 10 minutes before sitting down and writing this post. 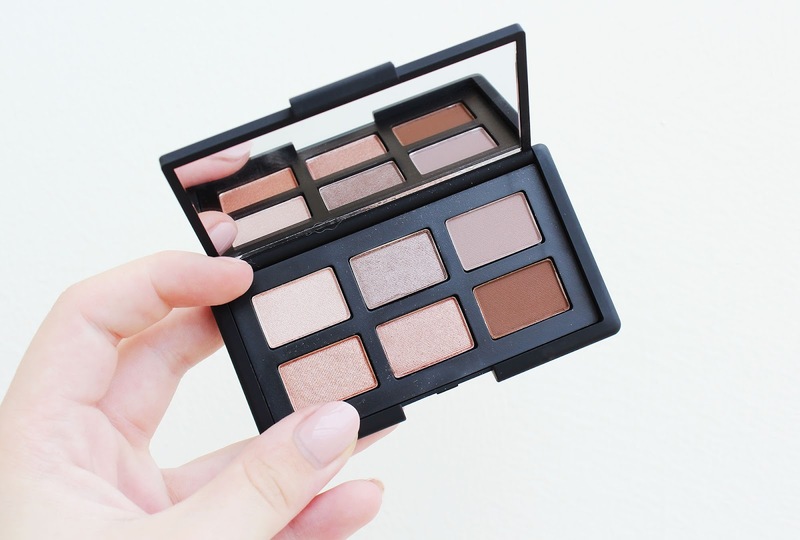 I was planning to do a full review of it in the future, but I talk about Nars so much - it's my all time favourite brand - that I feel like it's getting a bit repetitive in terms of review. I love that feeling of getting new beauty goodies! Touching them, playing with them and swatching them. So to switch it up a bit, let's take a first look together! First of all, I was shocked at how tiny it was! I was honestly expecting around half the size of a naked palette, but it's tiny! It's more like a quarter of the size of a naked palette! You only get 1g of product per eyeshadow. That being said, there are six eyeshadows. The shades are undeniably beautiful. You get a stunning blend of neutrals, four shimmers and two mattes, all which are so wearable. You get a deep brown and a taupe matte, and the shimmers include a coral, a muted pink, a taupe and a very pale pink. 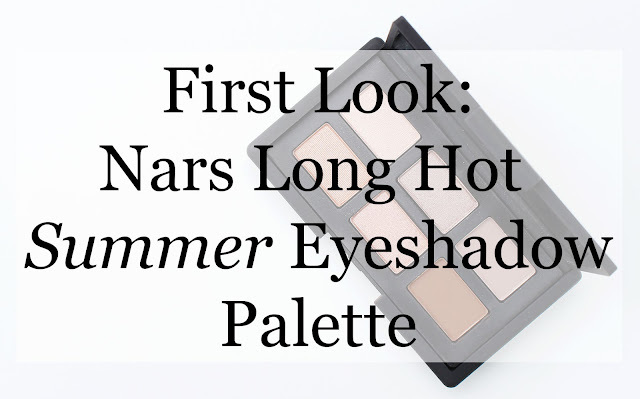 They're all very summer appropriate, as the name of the palette would suggest! 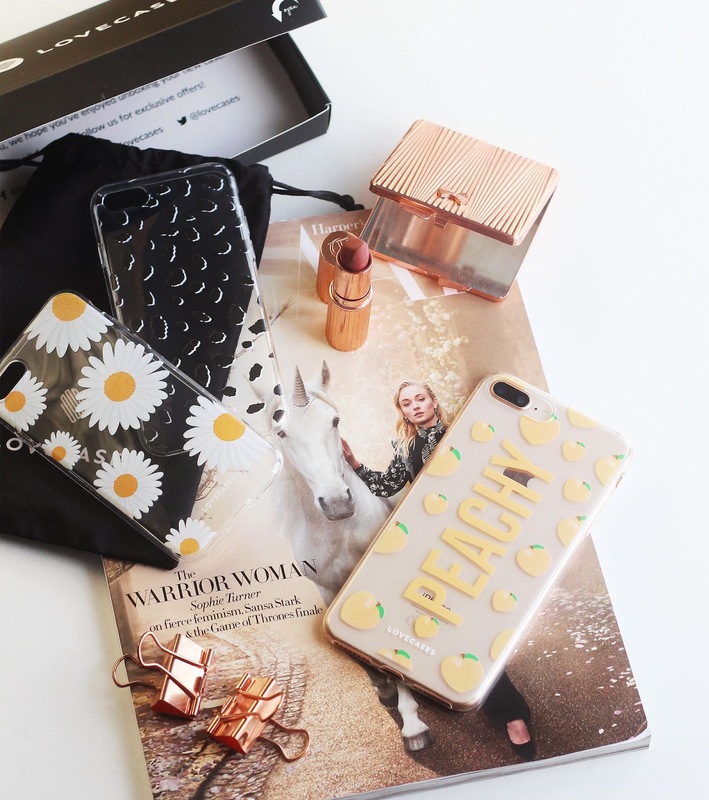 The colours all go well together so you easily have a variety of looks in one self contained palette, which is handy for travelling and carrying around with you, even more so when you consider the size of the compact. The names of the shadows are surprisingly un-sexual for Nars! Remember the saying "good things come in small packages"? 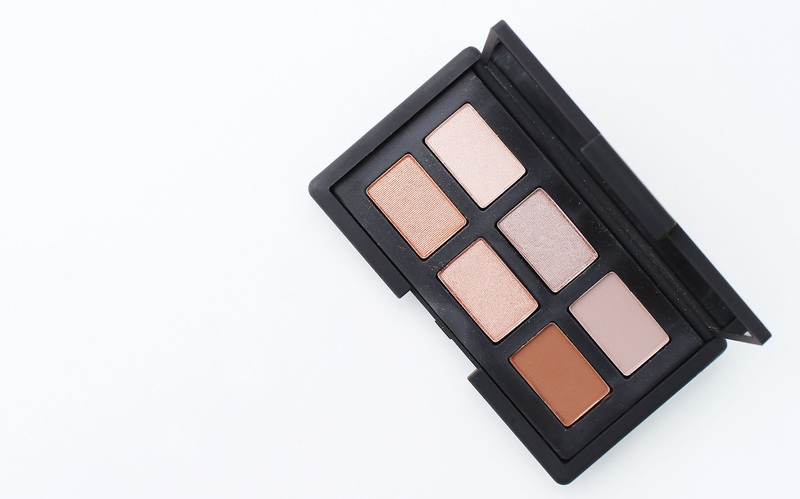 It's certainly true when it comes to this palette! The quality of the shadows is, as you would expect, very high. The powder feels so creamy and soft which, although I obviously haven't tried it on my eye yet, at least suggests it's very blendable. 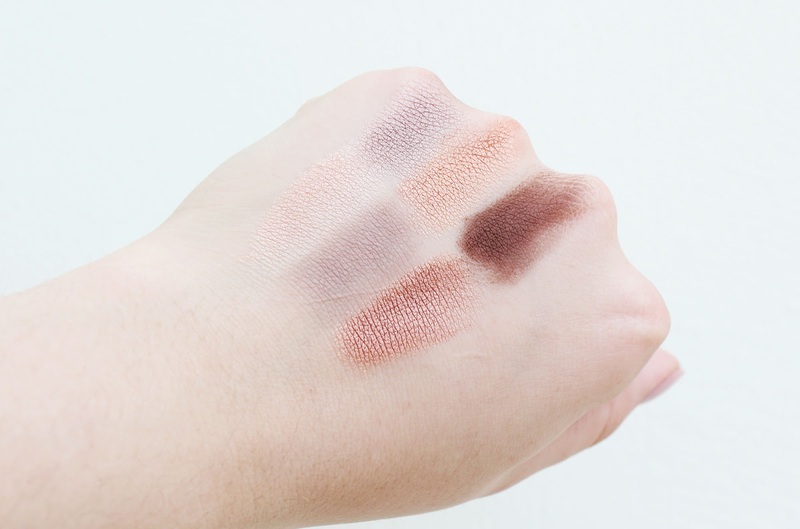 Both the mattes and the shimmers are very, very pigmented but with very little fall out, from what I could tell from swatching. 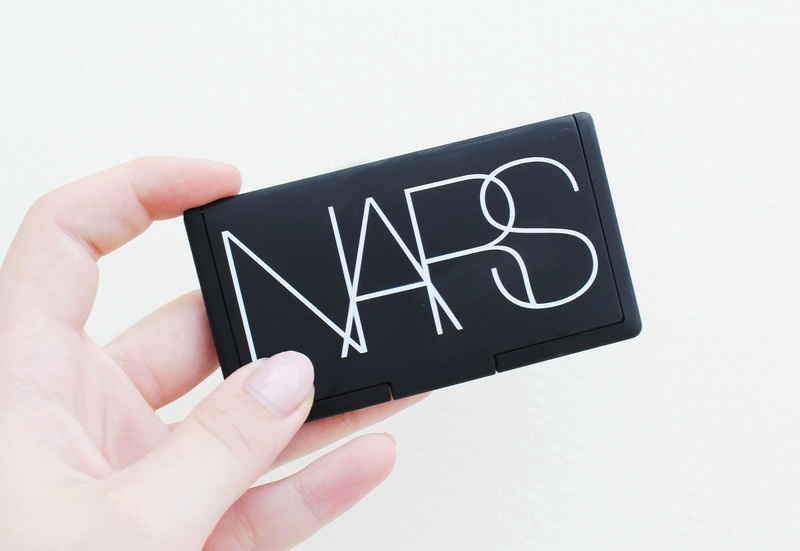 The packaging is classic chic Nars: a smooth matte black with white "Nars" on the front of the palette. It feels really luxurious, and it's nice and sturdy. The price for a tiny palette with 6g worth of product in is crazy high at £34! Even though I love Nars, I really don't think even the quality of the shadows justifies that price tag. That being said, I do not regret buying it at all. The colours are undeniably stunning and the shadows are very good. Plus, I love Nars. 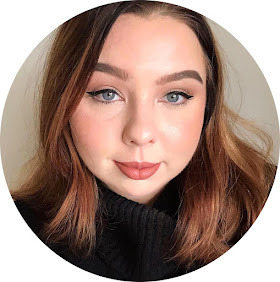 I love make up in general so I love to stay up to date with new releases, especially from my favourite brands. I think it's small, but I'm still very happy with it. If you're someone who is less likely to splurge on high end makeup, and when you do it really is an investment item, then I would suggest giving this a miss. There's lots of high end eyeshadow palettes with comparable quality and colours for the same price that, in terms of quantity, you get a lot more "bang for your buck". However, the colours themselves may make you fall in love, and you wouldn't regret buying it in that case because they are truly beautiful. If you're like me, you love make up, trying it, you love Nars, etc etc, you'll like this. You'll think it's small and over priced, but you'll love it nonetheless. So, to summarise: it's small. It's expensive. But you will love it. You don't necessarily need it, but if you get it, it's a safe bet you will love it. Check it out on the Nars website here. If you're on the fence and need an incentive, if you order directly from Nars and use the code "HOTSUMMER" you'll get a deluxe sized sample of their Audacious Mascara!